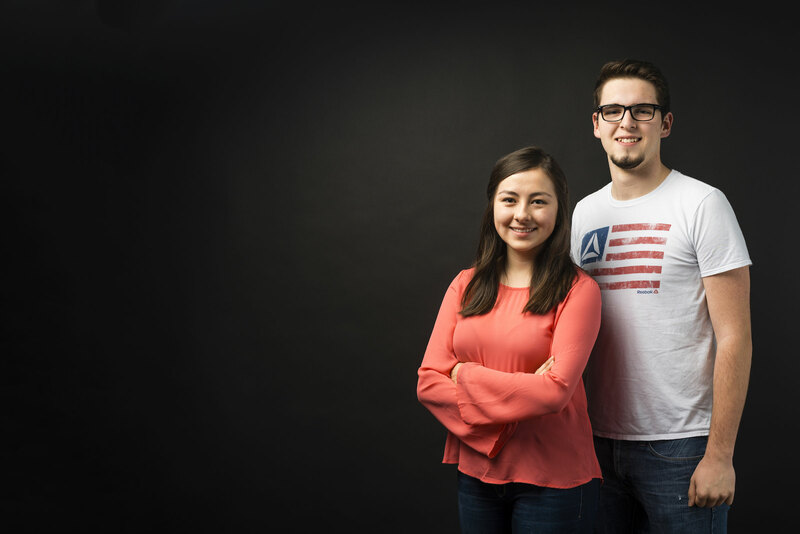 When it came to selecting a college, Ambar Solis-Fuentes and Ethan Voss considered three factors: academics, social life and, equally important, cost. As a first-generation college student, Solis-Fuentes recognized that schools’ scholarships and aid would play a primary role in her decision. Voss, meanwhile, knew early that Case Western Reserve was his first choice. Actually enrolling here, though, would depend on the financial support he received. The two applied at an opportune time: The Class of 2021 is the first accepted under the university’s new policy of meeting the full need of every admitted student. Previously, about a quarter of students received aid lower than their demonstrated need. The new approach has dramatically increased diversity—including representation of economically disadvantaged students. Today both Voss and Solis-Fuentes are first-year students. He’s majoring in engineering, while she’s pursuing biochemistry on a pre-med track—and working to realize the dreams of her immigrant parents.